How do I Dispute Unauthorized Charges on my account? 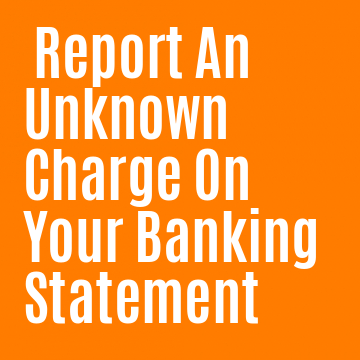 What should I do if there are unauthorized charges on my banking or credit account? You should contact your bank or credit card company right away. It is important to notify the bank promptly upon discovering unauthorized charges in order to limit your liability. You may contact the bank by phone but it is best to notify the bank in writing about unauthorized charges. The bank should have provided you with information on how to notify it when you believe there is unauthorized use of your credit card. The address to write to may be different from where you send your payment. requesting information about the cardholder's knowledge of the person who allegedly used the card or of that person's authority to do so. The bank must notify you of the results of its investigation.